Looking for a relaxing weekend getaway? 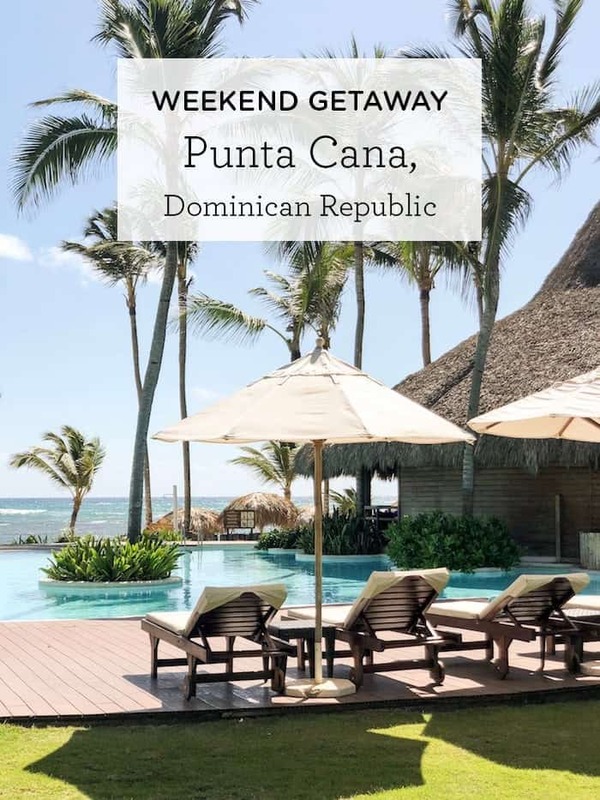 Spend your next weekend getaway in Punta Cana, Dominican Republic. 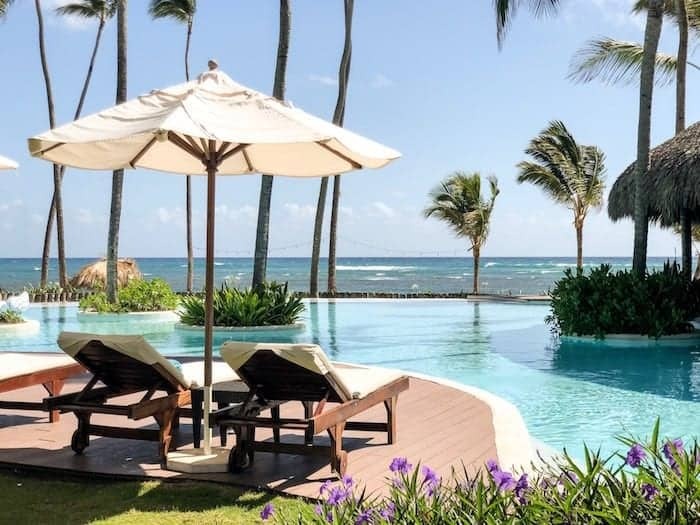 Last weekend Matt and I had the pleasure of taking a fun weekend getaway in Punta Cana, Dominican Republic! We went from Weds – Sunday and it was the perfect little trip. It gave us both time to unplug, recharge, relax and reconnect. Just what we needed after a crazy few weeks with work! I've actually been to the DR twice before, once with my fam and once just with my Dad, but never to this area of the island. my Dad studies migratory birds who winter on the island, and the times we've visited before haven't been to spend a few lazy days on the beach. We've gone up into the mountains and stayed a bit out of the tourist zone, so it was nice to see a new part of the island. We stayed at the Zöetry Agua resort and it was great. By the time we left, both of us were feeling so rejuvenated and refreshed! I know many of you also like to travel and might be looking for a place to chill out for a weekend, which is why I like to share my travels with you. 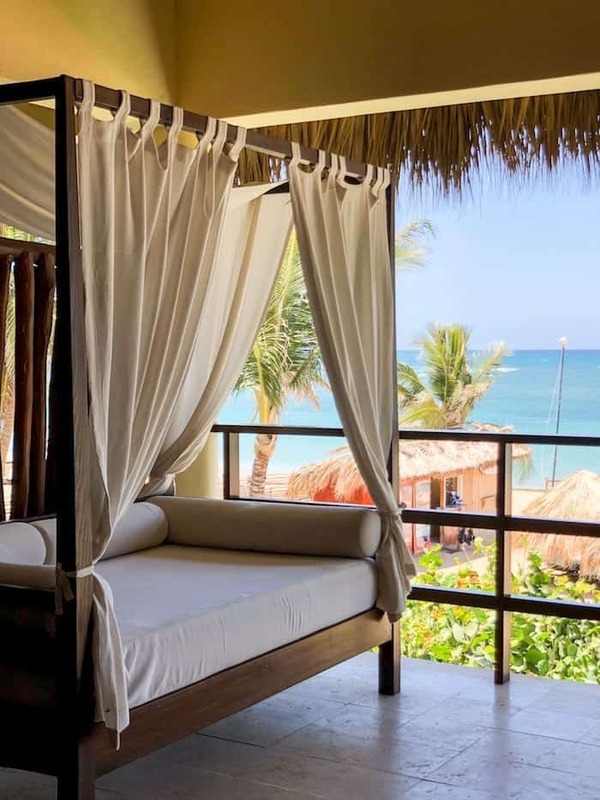 If you're looking for a relaxing beach getaway where everything is included and all you have to do is just hang out and do nothing (with the option to do more if you want! ), then this place is for you! 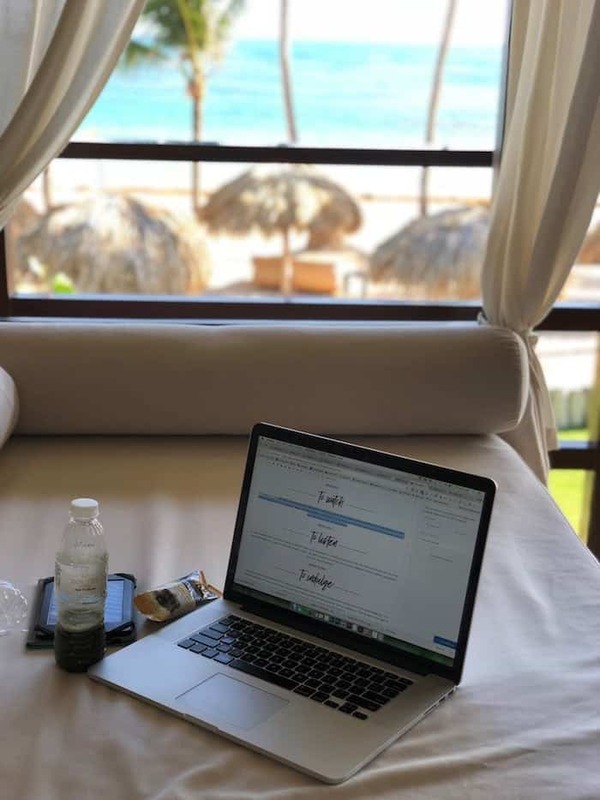 Just like I did with our weekend getaway to Riviera Maya last year, I'm going to give you a quick recap of our trip, talk share the highlights and give you some tips along the way. As soon as we arrived, I could tell the Zöetry Agua was special. 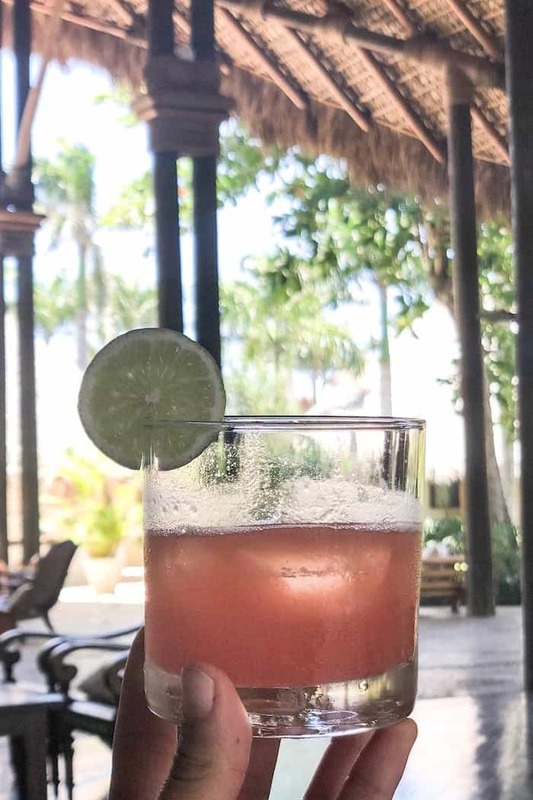 You were welcomed by a friendly staff that also greeted you by saying, “Welcome home.” Your bags are quickly whisked away from you and delivered to your room, while you’re handed a fresh, homemade juice and a tour of the grounds. The grounds are stunning, to say the least! 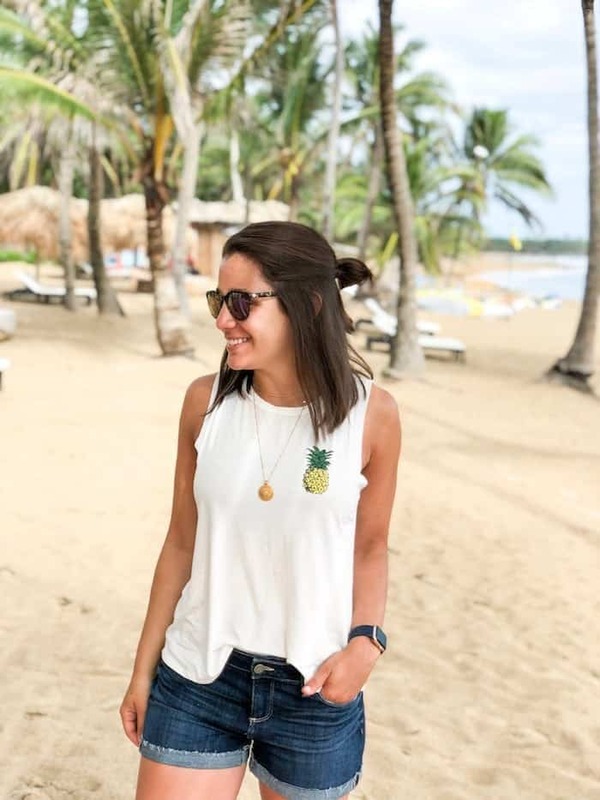 There is an upscale, rustic charm to this place, with tons of organically shaped pools, palm trees everywhere, beach chairs scattered around and of course, bright, turquoise waters and a white sandy beach. Beach vacations at its finest! What I loved about this resort was that it felt like there were little places to hang out all over the place. 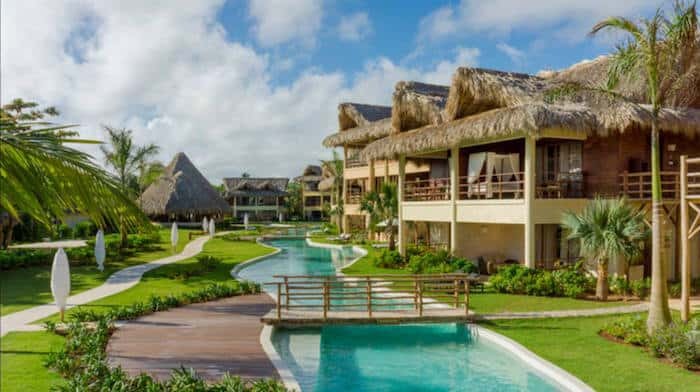 Even though the resort was booked to 90% capacity, it was super quiet, there were always beach chairs and cabanas available, room at the pool and spots for dinner. It never felt busy and we were totally able to find our own space. We stayed in a junior romantic suite and was everything we could have needed (or wanted!). A big king bed, a lovely little balcony with a day bed that I read in every single morning, double sinks (my dream! ), and the best part? Our balcony overlooked the beach and the ocean! 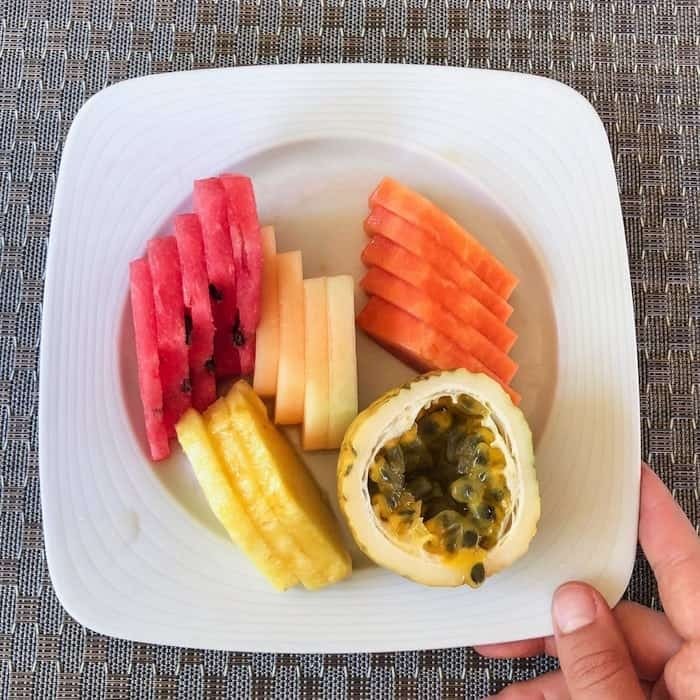 This was the second time I’ve done an all-inclusive resort and I have to say, I really love not having to worry about what I’m eating and drinking the entire time. Since everything is included, you don’t have the added pressure of figuring out how much to budget for food, you don’t have to worry about taking stuff out of the mini bar, and you definitely don’t have to worry about unexpected charges at the end of your stay. 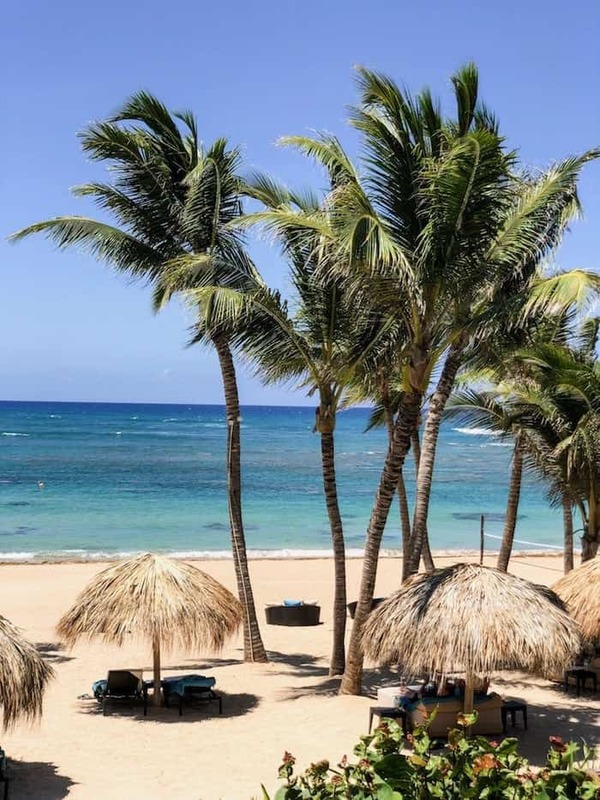 Zöetry Agua had four restaurants on the property, as well as 24-hour room service. Two of the restaurants served breakfast, the beachside restaurant served lunch and there were three options for dinner. 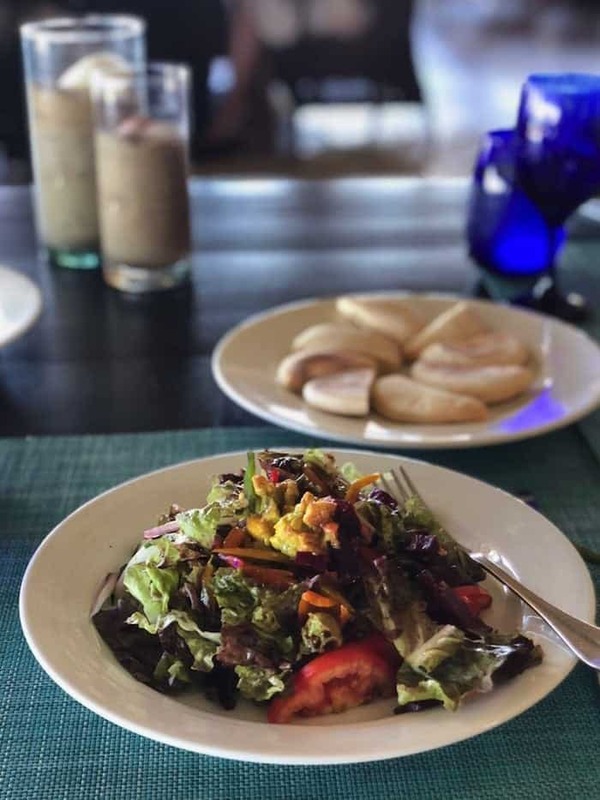 While I love the idea of all-inclusive, the one downside is that you’re often faced with a somewhat limited menu and it can get a little repetitive after 4 days. The breakfast and lunch menu was the same each day, but luckily, since they did have three separate dinner restaurants, the options were a bit more varied when it came to our evening meal. Overall quality of the food was pretty good! As expected, there was tons of fresh seafood, lots tropical fruit and fresh vegetables, but the menus definitely catered to an international clientele. Which, honestly makes sense and is probably what you will find at most large resorts around the world. The only thing I found to be challenging with the food options was finding something plant-based. There weren’t very many options that included plant-based protein — hummus on the lunch menu was about it — but I did appreciate that everything was clearly marked. There was also a bit of a language barrier with some of the waitstaff, so I’m thankful for my years of studying Spanish so that I could effectively communicate my allergies and what I needed in order for me to safely eat. Most days, I had tropical fruit and scrambled eggs with veggies for breakfast. Lunch it took me a few days to find my groove, but I ended up loving their beetroot & avocado “ceviche”, their greek salad (sin queso), served with a side of hummus and tostones. Dinner was usually a veggie-based appetizer followed up with some sort fish dish, again with veggies. I definitely never felt like I wasn’t getting enough food, but I was also really glad that I give myself the flexibility to not be plant-based 100% of the time. 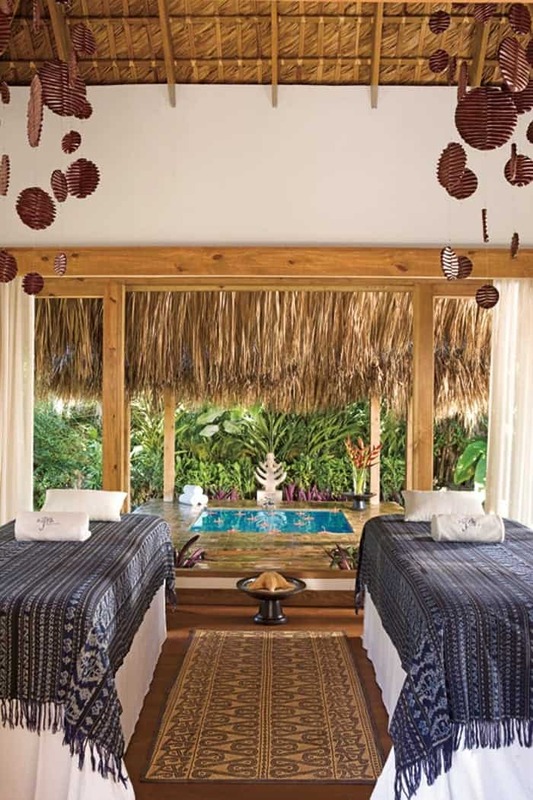 I can’t say that Matt and I are the biggest spa-goers, but this spa was legit! You get a 20-minute complimentary massage, which was glorious. We were in the same room, which I kind of love, and both had wonderful masseuses. They were caring, had just the right amount of pressure, and made the whole experience that much better. Post massage, we were invited to relax in the spa area which had snacks, cucumber water, chlorophyll water, and an amazing hot tub/sauna/steam room area. It was quite warm while we were down there, so we were already hot, but we hung around in the hot tub and took a quick steam. After we were done, I felt so relaxed. It was like all the stress I'd been carrying around from NYC just melted away! The other area that we used a lot was the small gym! Matt was training for the Brooklyn Half Marathon and I just love working out, so we hit that up every single morning. I have to be honest and tell you we are not usually very active when it comes to beach vacations, so this was a nice way to change things up for us. Plus, sweating in the morning is just such an amazing way to start the day! They had everything we both needed, weights, yoga mats, cardio machines, etc., and most of the time we were the only ones there. Each day I did a different workout from Fitness Blender and it felt great. I gotta say, it makes it much easier to get back into the swing of things when you continue your routine while you're away! And that's pretty much it! 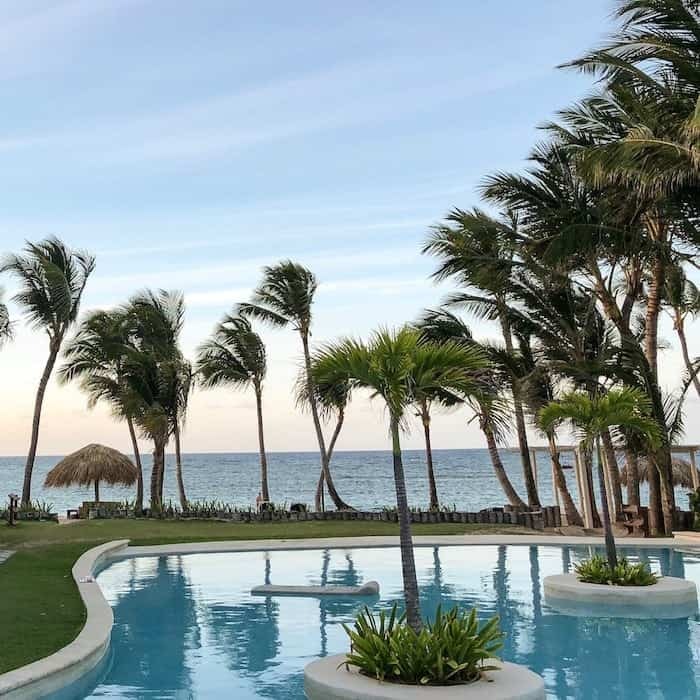 Overall we had a lovely stay and would recommend staying at the Zöetry Agua if you're planning a trip to Punta Cana that is quiet and relaxing. 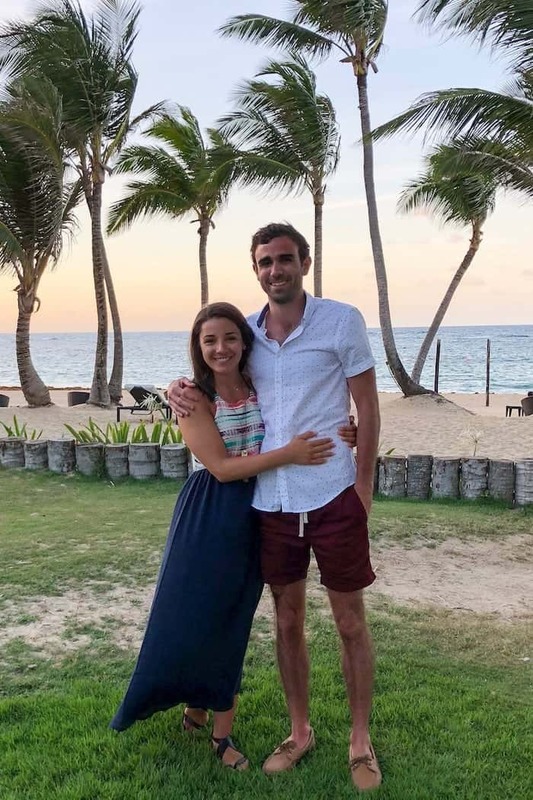 With a friendly and accommodating staff, a very welcoming atmosphere and gorgeous property, it was the perfect place for us to get away for the weekend! What has been one of your favorite weekend getaways? I'd love to learn more about it as we're always looking for new and exciting places to visit!